Before shifting into back to school mode, LEGOLAND® Florida Resort is encouraging guests to make the last moments of summer memorable by offering free standard parking between Aug. 1 and Aug. 31. UPDATE: The free parking and school drive have been extended through Labor Day, September 3, 2018. Guests receiving the free parking are encouraged to bring new, unopened school supplies to donate to the Homeless Education Advocates Restoring the Hope program for Polk County Public Schools. Most needed items include pens, pencils, erasers, scissors and composition notebooks. Every donation will help make a difference in the lives of more than 4,000 students identified in a homeless situation in Polk County. Pre-purchased standard parking will be upgraded to shaded, premium parking free of charge. Premium Parking can be purchased for $27. Awesome Annual Pass holders can upgrade to premium parking for $10. Only credit or debit card purchases will be accepted. The voucher for free standard parking can be found online at legoland.com/free-parking-info. Additionally, kids stay and play for free with vacation packages for stays between Sept. 3 through Nov. 8, 2018 and Nov. 25 through Dec. 20, 2018. 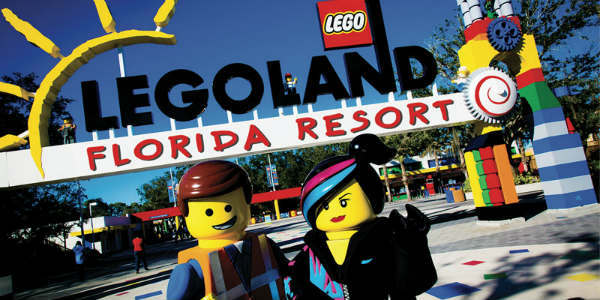 Guests can save up to $260 on accommodations and tickets by booking online through Aug. 30 at legoland.com/kids_free.